The California Trail was one of the main routes of migration towards the West of the United States in the mid-nineteenth century, which started from the state of Missouri all the way to California. It was used by more than 250,000 settlers and gold seekers, from the early 1840s to the construction of railroad tracks, in late 1860s. The original route had many branches and traveled more than 4970 miles. 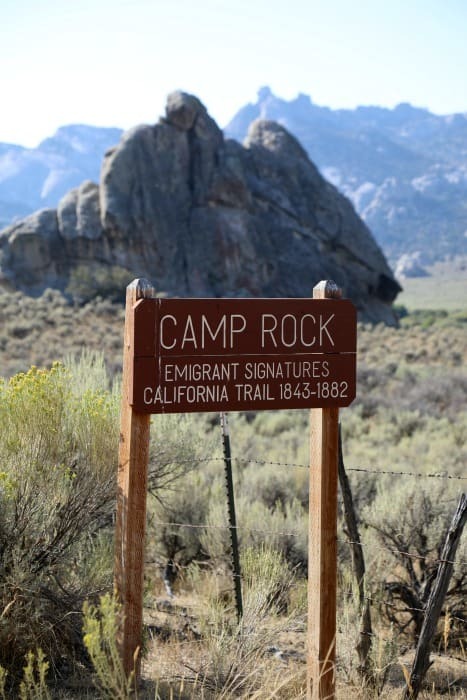 About 995 miles of the route, through the Great Basin, are still protected and have been declared ” California National Historic Trail”, as historical evidence of the great mass migration to the West, and are managed by the National Park Service. In 1828-1829, Peter Skene Ogden, leading several expeditions of the Hudson’s Bay Company, explored much of the valley of the Humboldt River. In 1834, Benjamin Bonneville, an officer of the United States Army licensed to carry out an expedition to the west financed by John Jacob Astor, sent Reddeford Joseph Walker westward from the Green River, (nowadays in Wyoming) with the mission of finding a route to California. Throughout the 1840s, the route began to be used sporadically by the first settlers. The first group that used the route was led by John Bidwell (1819-1900), who left in 1841 with the first organized group, the Bidwell-Bartleson Party, in order to reach northern California. 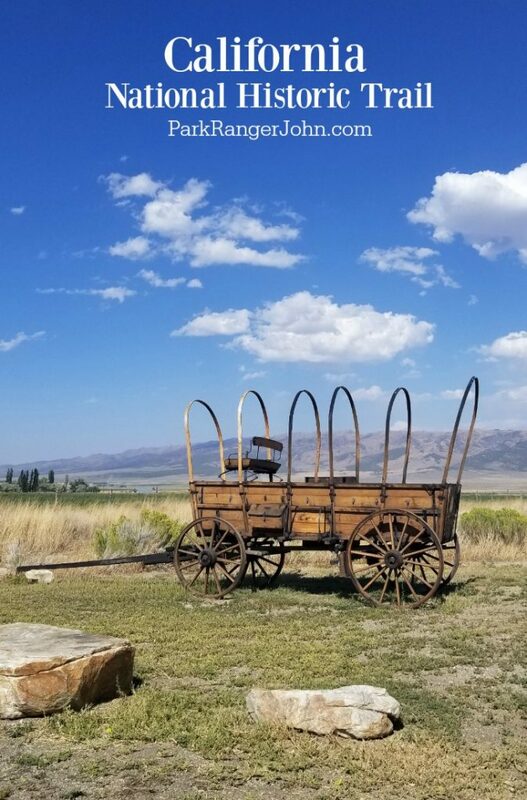 They followed the route from Oregon to Soda Springs (Idaho), where they started south along the Bear River, then west, north of the Great Salt Lake, in search of a road to the Humboldt River. Despite failing to reach California, the Bidwell-Bartleson Party managed to travel along the Humboldt River, which would become the main artery to California in the following years. They traveled about 2300 miles in a single season (summer and winter), traveling about 15 to 18 miles every day for about five months. When the gold rush broke out in 1849, cart roads had already been formed along both banks of the Humboldt River, from Gravelly Ford to Humboldt Sink. Two years later, in 1843, Joseph Chiles followed the same route. In 1844, Caleb Greenwood with fifty people, the Stephens-Townsend-Murphy Party, led the first caravan that managed to cross the Sierra Nevada with about forty wagons. While leading the group along the Migration route in Wyoming, Greenwood suggested that instead of following the road south to Fort Bridger, the caravan left the main road near the Little Sandy River and headed west through Wyoming, crossing the desert to meet the main route in the valley of the Bear River. The new route cut 85 miles and reduced the trip by 7 days, but it was risky since about 45 miles ran through an area without water. The group crossed the Sierra near Donner Pass. Of the 50 people who left, 52 arrived in California, since on the trip there were two births. Upon arrival in California, the group settled in San José / Cupertino. In 1845, John C. Frémont (1813-1890) and Lansford Hastings (c.1819-1870) guided groups totaling several hundred settlers along the California road. The following year Hastings persuaded a part of the emigrants to follow his “direct access”, which ran south of the main route. Hastings had written The Emigrants’ Guide to Oregon and California, to persuade the Americans to go to California with the hope that they could make a revolution without blood, being numerically superior to the Mexicans. Published in Cincinnati in the spring of 1845, Hastings’ guide influenced migration to California, though not to the extent that he had expected. In August of that year, Hastings and a small group left for California, arriving at Sutter’s Fort on Christmas Day. After spending the winter there, Hastings left the fort on April 11, 1846, heading east with another small group. He and two companions stopped at the Sweetwater River, where they waited for the migration of the year. A traveler from the east met with an open letter from Hastings to the emigrants, inviting them to join him at Fort Bridger. From there, Hastings said it would take them to a new route that would significantly reduce time and distance. About sixty to seventy-five wagons traveled with Hastings through this shortcut and arrived safely in California. The Donner Party, who came after him, lost more than three weeks in the alleged shortcut when crossing the Wasatch mountains. They arrived late at the Sierra Nevada and were trapped by the snow. Of the 89 pioneers who left, only 48 survived. The drip of emigrants would turn into an avalanche after the discovery of gold in California in 1848, the same year in which the USA “acquired” the Southwest in the Treaty of Guadalupe Hidalgo. In the months following the public announcement of the discovery by President James K. Polk, at the end of 1848, tens of thousands of gold diggers headed west to seek their fortune, in what is known as the Gold Rush of California. 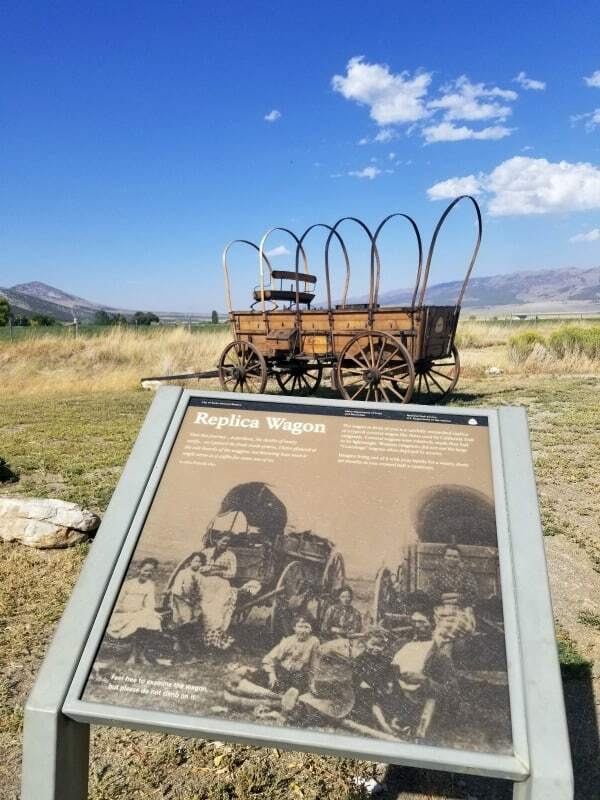 From around 1860, the route stopped being used due to the construction of the Transcontinental Railroad, the first railroad linking California with the east of the US (Learn more about the railroad at Golden Spike National Historic Site in Utah). Both the railroad and the later constructed US Highway 40 and Interstate 80 motorways run partly along the same route as the California Trail. The western route was arduous and full of potential dangers for the ill-equipped. 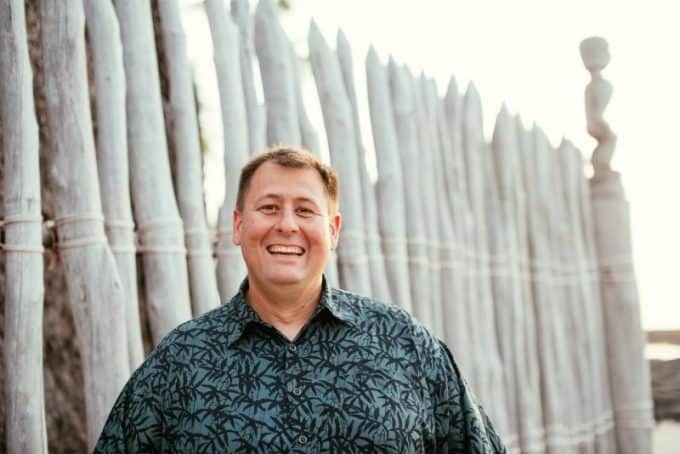 Native Americans were not the main problem in the early years following the discovery of gold in California, when the influx of travelers increased tensions between emigrants and the native population of America. River crossings, with many drownings, diseases and famine were more frequent causes of death in the long journey and the pioneers had to be well prepared. Despite the popular image of Hollywood films, most of the wagons were pulled by oxen instead of horses: the ox was slower, so if it escaped at night it was easier to capture them back. 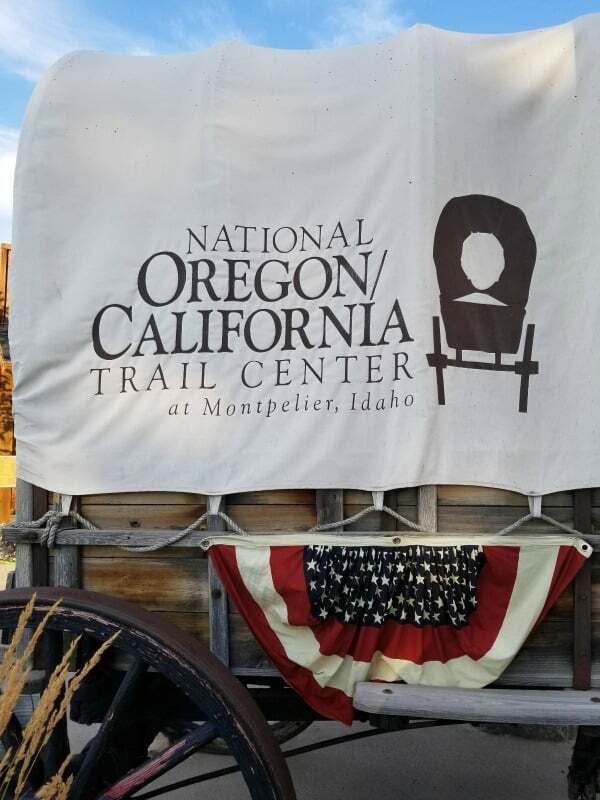 We arrived sadly after they closed but there is a National Oregon/California Trail Center located in Montpelier, Idaho.